There is a quiet little spot that’s not far from our home town of Cambridge and we often go there for a day or two to completely chill out. 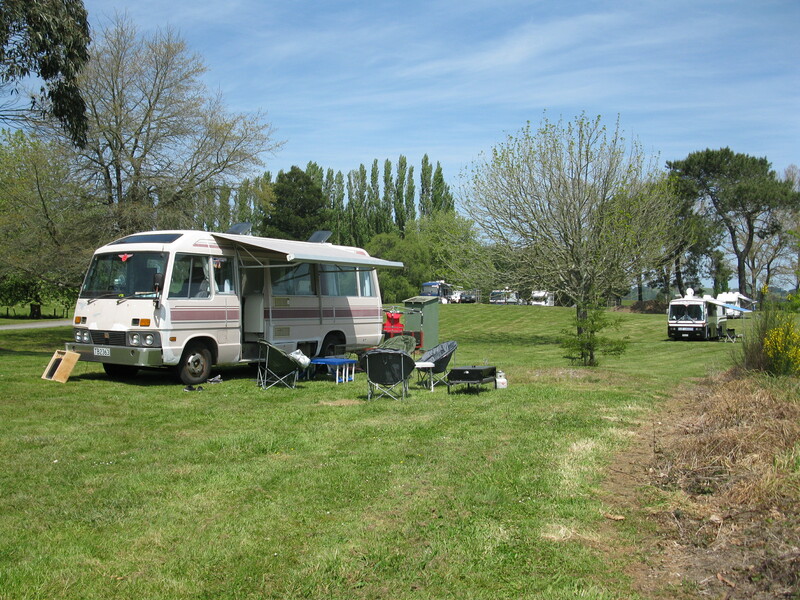 We can leave home in our bus and in less than half an hour be parked up (for free) at a large lakeside reserve where we can fish, kayak, swim or just relax. 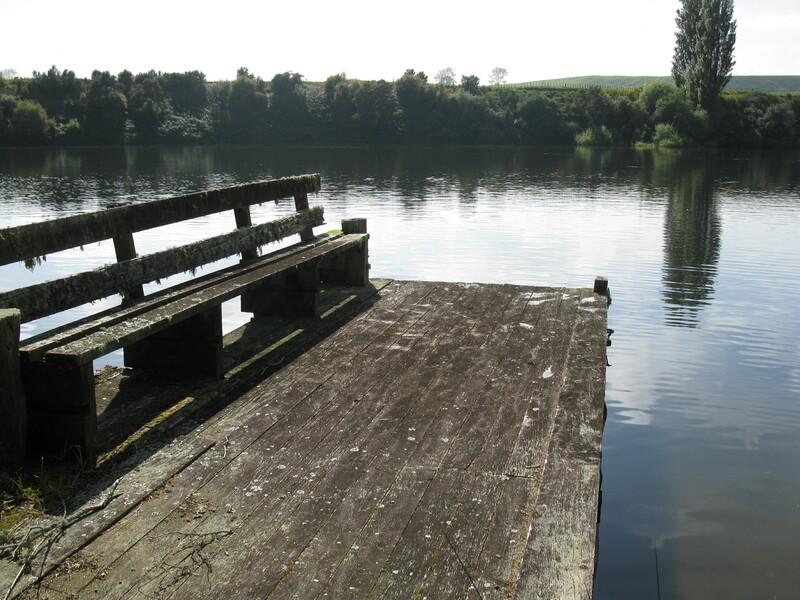 Little Waipa reserve is on the banks of Lake Karapiro and accessed via Horahora road. It’s a popular spot for day-trippers and there are basic toilet facilities there (those smelly, dark and fly infested type). 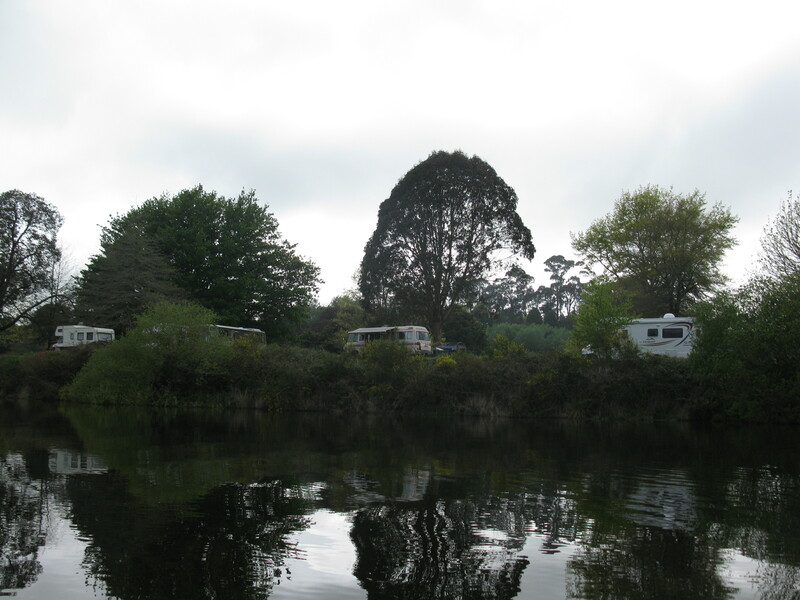 Self-contained campervans are permitted to stay overnight for a maximum of two nights. 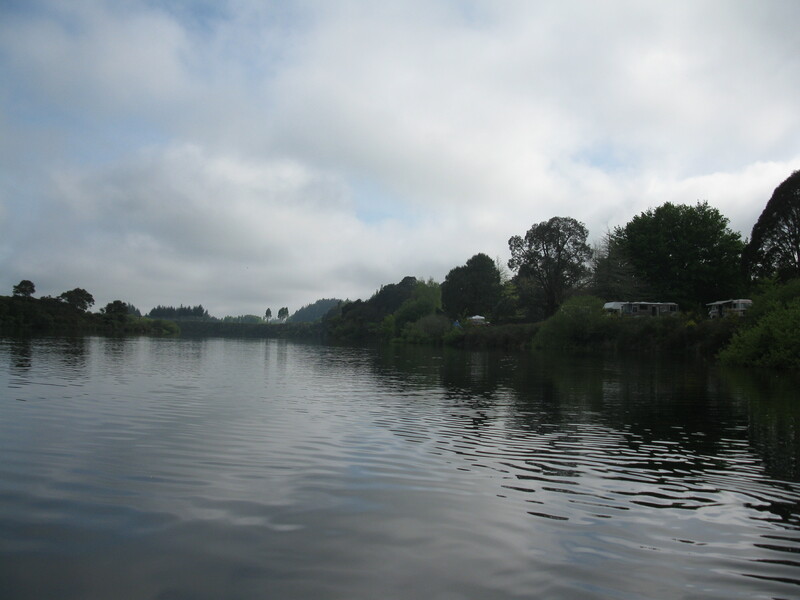 It is slightly elevated about the lake with great views and a lovely grassy area leading down to a boat ramp at the lake shore and river inlet. 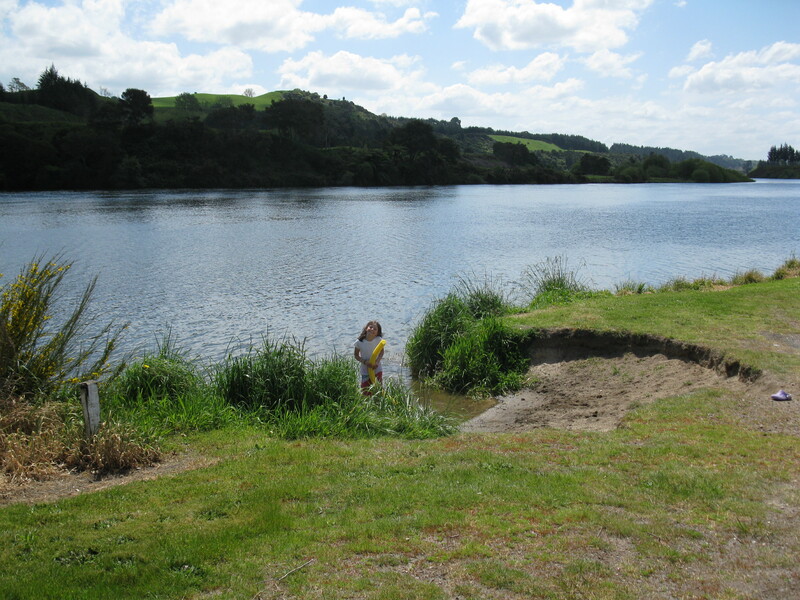 It’s also supposed to be a good spot for fishing. Nothing’s every jumped on my line there – but nothing has ever jumped on my line anywhere. 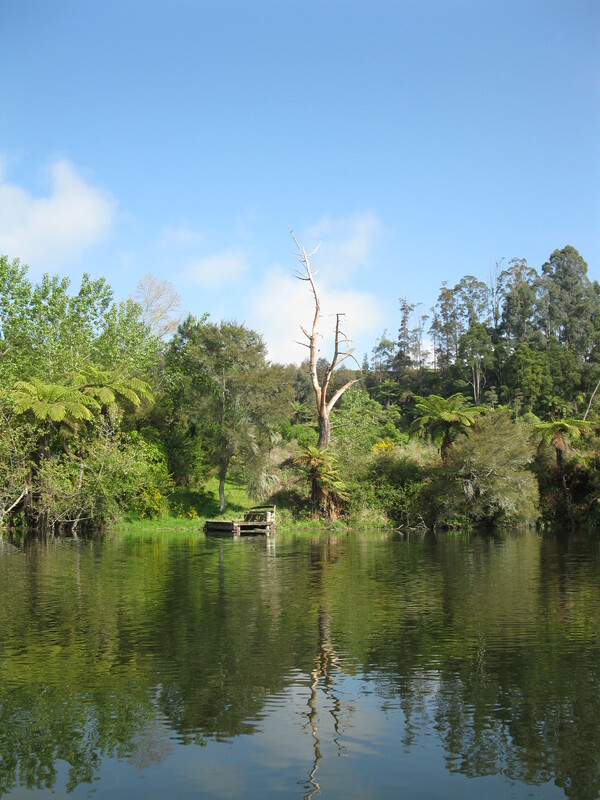 We did once meet a chap who had the day before caught his first trout in that very spot and was about to eat it for his lunch. He proudly showed us a photograph of him making his catch so I have every reason to believe that the fish rumours are correct. 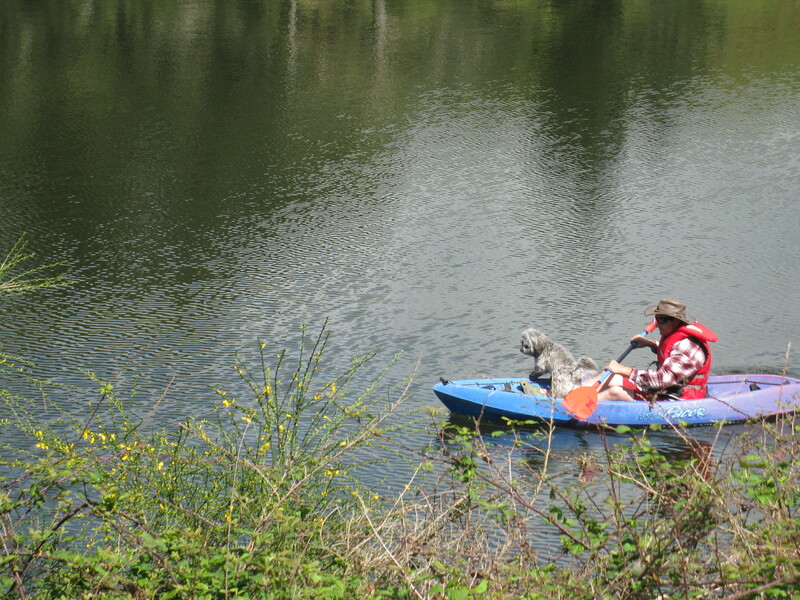 We have on several occasions taken advantage of the lakeside location to partake in a spot of kayaking. 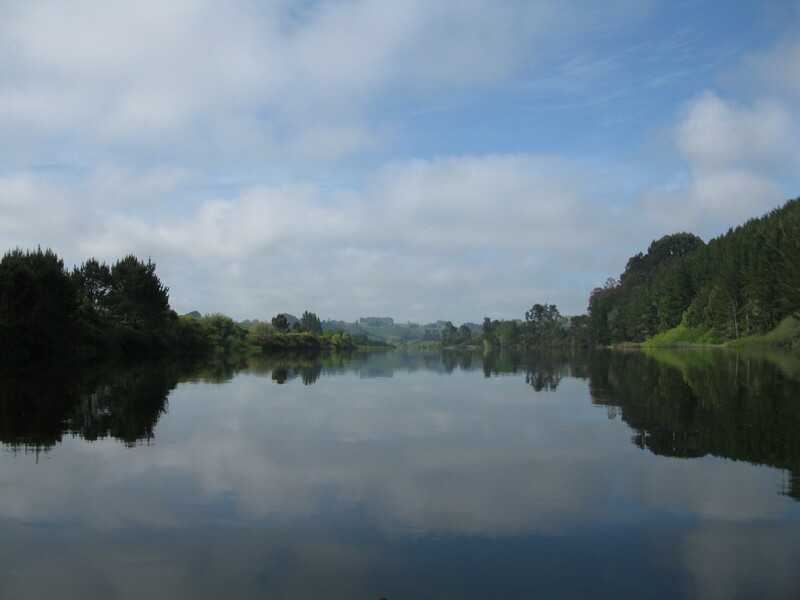 Karapiro is an excellent lake for kayaking and water sports of all kinds. 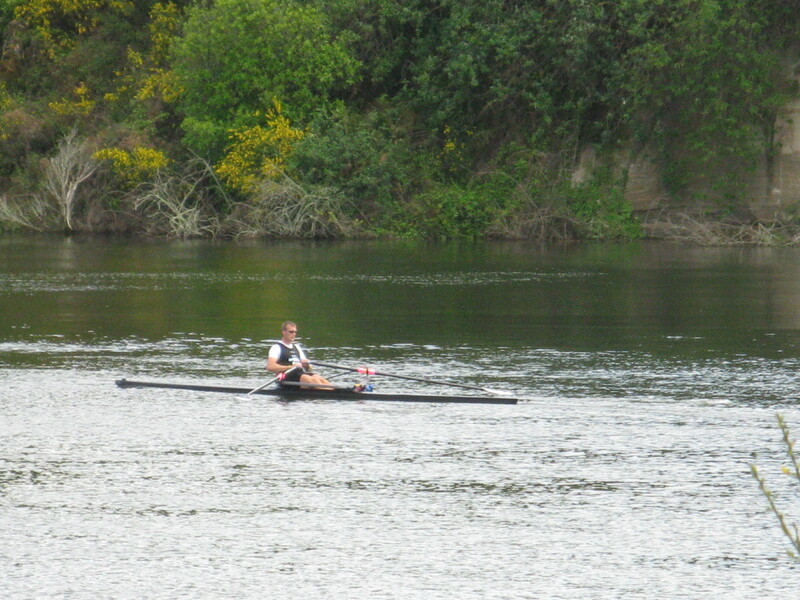 The world rowing championships were held there in 2010 and many of New Zealand’s top rowers live locally and regularly train on the lake. 1. 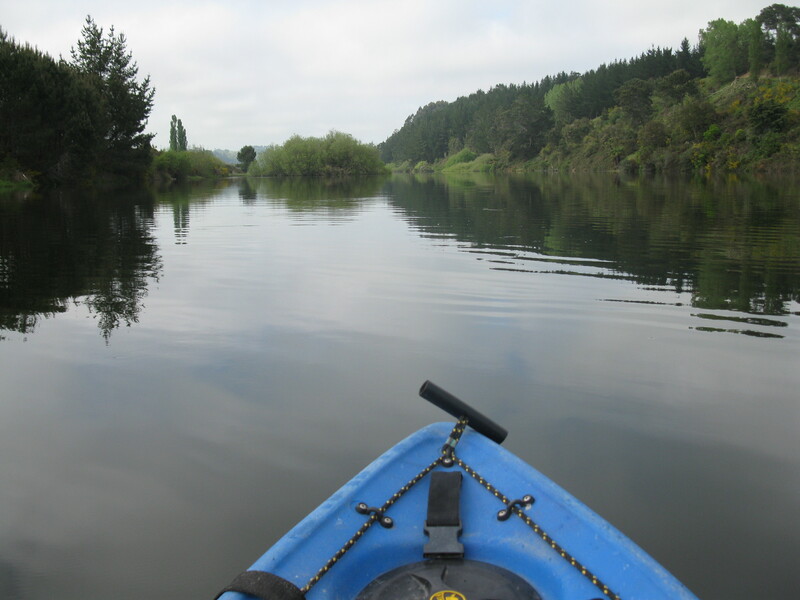 A frequent attendance by several hundred biting creatures – and I’m no longer talking about the fish. Mozzies and sandflies are often out in the evenings in force – but don’t let that put you off, just bring some bug repellant or keep the long pants and socks on. 2. Mobile phone coverage is pretty non-existent. I know… I know… we go away to have a break from work . I realise this may not be a problem for many people, but Kiwi Annison can sometimes get a little tetchy without internet access and her phone bringing her communication from the outside world at least once a day. You never know, one day I might urgently need to google how to gut a fish. Even as a country girl I couldn’t do it… he did the deed for me and I was happy to cook it but it was both the first and last fish I ever caught myself. I’m totally on the same page re internet… you might need it to google the location of the nearest bottle store for some dutch courage before dispatching your catch too! btw… trout: gut the dude, season with herbs, butter or olive oil, pepper & salt, wrap in foil and BBQ…. scrape off the skin on one side gently when cooked, lift the top fillets off the bone (they will just lift off) then lift off the central bone system … it comes away in one piece usually and you’ll be left with the bottom fillets ready to eat. Seriously yummy. Look, we once had almost the same bus. This was in Australia though. 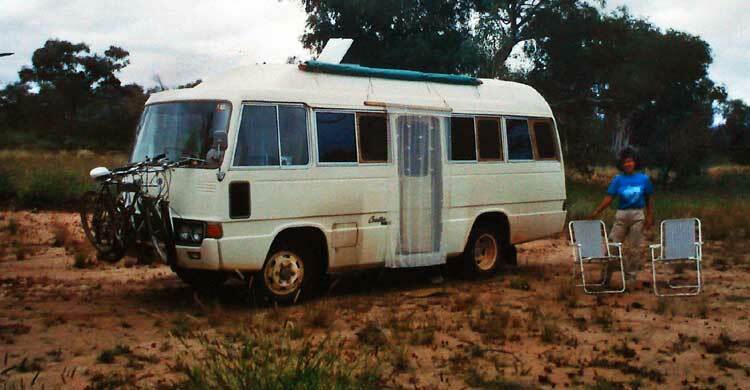 Klaus, what a wonderful story of your travels and various homes – I am filled with awe! I wonder how many of your trips could be done in these modern times, or perhaps it wasn’t easy back then either?